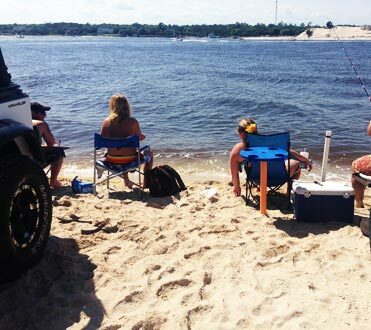 The Carolina Beach Inlet Association (CBIA) educates the public and politicians on the importance of keeping North Carolina’s Shallow Draft Inlets dredged for safe navigation. Support for CBIA is vital to the ongoing preservation of the Carolina Beach inlets and the economic value it brings to both property values and economic business impact. Organize the organization, its membership, committees and a board of directors. Secure a venue for Monthly Membership Meetings, Committee Meetings, and Board Meetings, once a month. Put on fund-raising events such as The Annual Chowder Cook-Off and other events through the year. Attend other non-profit's & charitable events who invite us to set up a tent and promote the efforts of the CBIA. offset the cost of of Member expenses to attend meetings being held across the state by the State of NC, Division of Water Resources and Marine Fisheries. 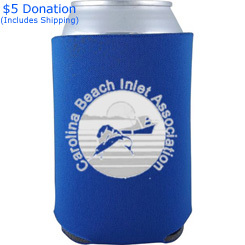 Contact CBIA at E-mail: info@carolinabeachinletassociation.org for any questions regarding support for the Carolina Beach Inlet Association. 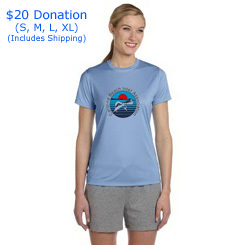 Anyone can become an Associate Member with a minimum donation of $35/year. Associate Members enjoy many of the same priviledges as those with full memberships, but do not have voting rights. Full, also referred to as Voting Memberships are offered and available for a minimum donation of $100 (renews 9/1/20) to anyone who is an owner, operator, captain, or employee of a charter headboat, commercial vessel, or recreational boat. Additionally full memberships are available to any area resident, merchant or business person sharing a common interest in the activities of the Association. The area of membership is primarily the Southeastern section of North Carolina, but certainly not limited to just this area. Seawitch provides guests a variety of atmosphere, entertainment and food. Choose to dine inside or out, on burgers, wings, and seafood. In addition to the NFL Sunday Ticket, they offer great recovery beverages for Sunday-Funday, and off-season specials. We are a family owned hotel located in the heart of Carolina Beach. Our motel is just three blocks from the ocean and the Carolina Beach boardwalk. Drifter’s Reef Hotel is the perfect place to spend your beach vacation. And unlike many hotels, we ARE pet friendly! We deliver FREE, anywhere on Pleasure Island! We offer premium quality, made in America products, at prices equal to or less than our competitor's economy-value line. Business Cards, Flags, Banners, Rack Cards, T-shirts & Koozies are just of few of what we have to offer. 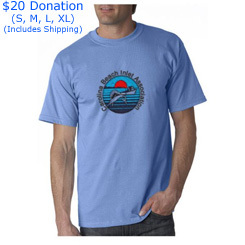 Proudly show your support for the Carolina Beach inlets by buying, wearing and using our official merchandise.